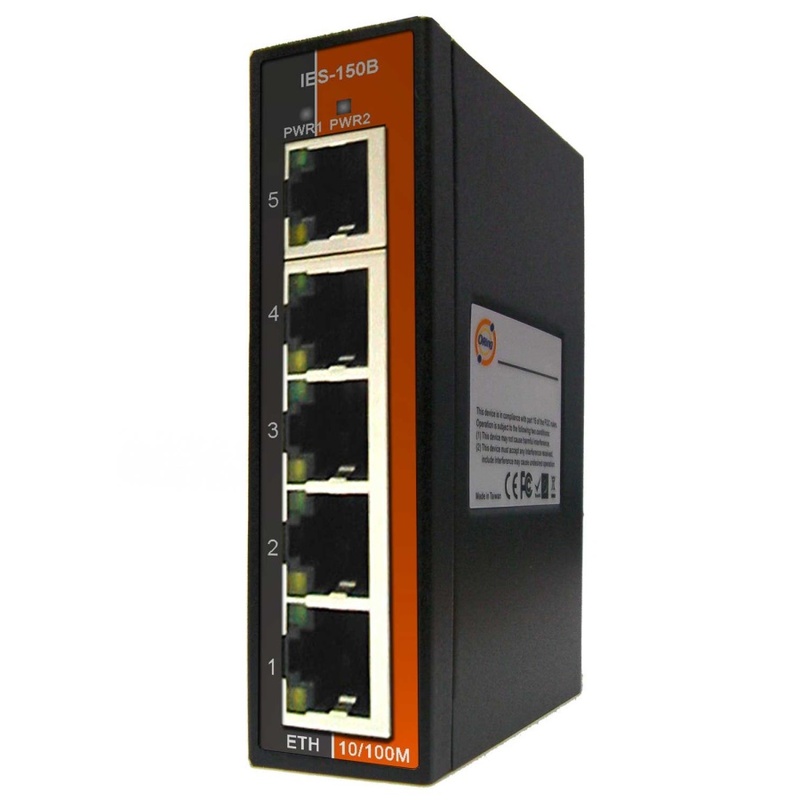 IES-150B is an unmanaged industrial Ethernet switch with 5 x 10/100Base-T(X) ports. The small size of the IES-150B switch allows an easy installation of the device on DIN rail. The operating temperature range extends from -40 to 70°C and, thanks to the rugged IP30 housing, the IES-150B switch can be used in harsh industrial environments. Powered by a double removable terminal block with voltage from 12 to 40Vdc.